The Boston Celtics are the early favorites to win the Eastern Conference. With LeBron James now in Los Angeles, a path has been cleared for Boston to return to the Finals. 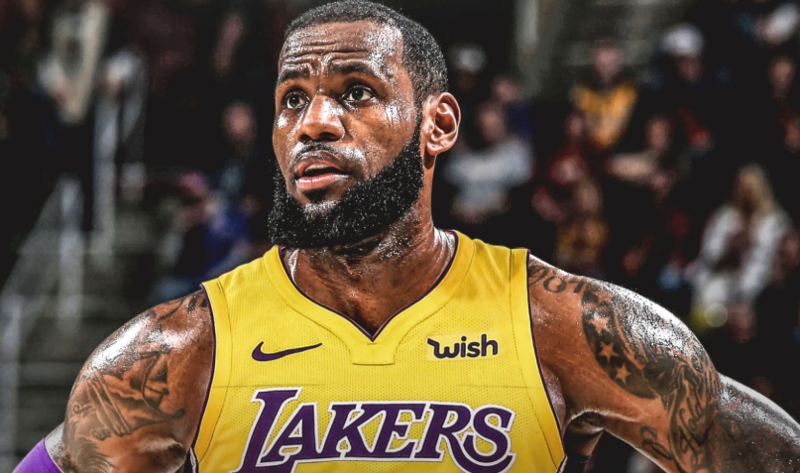 Whether they win a hypothetical seven-game series versus the Golden State Warriors is another topic altogether. However, there’s only one player capable of being the ultimate x-factor for this team. His name is Kyrie Irving. Some might scoff at this idea. Last year, Boston won 55 regular season games en route to an Eastern Conference Finals appearance. The Celtics were one game away from making the Finals. Irving only participated in 60 of these games before sitting out with knee issues. He had been averaging 24.4 points per game on 49.1 percent from the field and 40.8 percent from three. Yes, Irving’s battled multiple injuries throughout his career. His career longevity may be in jeopardy when considering Irving is only 26 years of age. He’s also not what anyone could call a quality defender. There have been multiple times in which Irving’s lack of defensive prowess has hurt the Celtics. With all of that said, the Boston Celtics will not win the 2018-19 NBA Title without Irving being his usual self. To resoundingly answer the question above, Irving is most certainly NOT expendable. For as decent as Rozier is, he’s not close in replicating the potency of Irving. We’re talking about a backup point guard versus an arguably top-five player at his position. In 2017, Irving finished in the 94.9 percentile in isolation efficiency (1.12 points per possession). This put him among the league’s best in the category. Last year, Irving respectably finished in the 84.8 percentile (1.04 points per possession). In comparison, Rozier finished with 0.94 points per possession (whilst slotting in the 69.1 percentile). From an actual on-court standpoint, Irving is immensely tricky with the ball in his hands. He reads angles on the court exceptionally well. This includes picking his spots when wanting to ‘dance’ with a defender. Irving is also a master at pace — as he changes speeds as exceptionally as anyone. The New Jersey native has a full complement of ankle-breaking moves — including arguably the best crossover in the game today. Essentially, he can get to the rim whenever he wants. A deft touch coupled with insane amounts of English enables Irving to score over even the longest of defenders. When looking at the Celtics’ roster, Irving is unquestionably the best in terms of getting his own shot. By being able to break down the opposing defense at will, it should theoretically open up things for the rest of his teammates. With Jayson Tatum emerging, and Gordon Hayward’s existing reputation, a player like Jaylen Brown will get plenty of open looks from the corner. Even then, the expected collapsing of the defense onto Irving will open up advantageous spots on the floor for the likes of Tatum, Hayward, and Al Horford. From there, let us compare Irving to Rozier from a shooting standpoint. Rozier’s usage rate exponentially increased in Irving’s absence. During the playoffs, Rozier shot 40.6 percent from the field and 34.7 percent from three. These aren’t exactly world-beater numbers by any stretch. Irving has fared far better in postseason play. 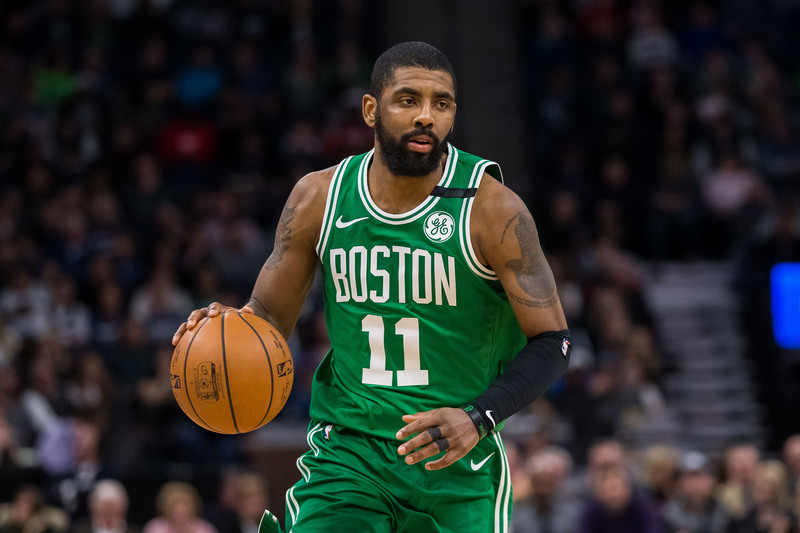 For his career, Irving averages 23.9 points per game on 46.5 percent from the field and 41.5 percent from three-point range. Lastly, there’s Irving’s proclivity as a clutch player. The core of this team — Horford, Tatum, Brown, Hayward, Rozier, Marcus Smart — has zero in the way of Finals experience. Irving was a key cog in Cleveland orchestrating the monumental upset of Golden State in 2016. His shot over Steph Curry in Game 7 effectively led the Cavaliers to the promised land. If the Celtics were to get to the NBA Finals, they’d undoubtedly lean heavily on Irving’s prior experience. He knows how to play winning basketball, and thus has a comprehension as to what it will take to come away with a title. There are questions as to how Irving will fit with the team’s current scheme. Brad Stevens employs a system rooted in ball movement. This isn’t necessarily catering to Irving’s respective strengths as a player. However, Stevens has shown the acuity in molding his scheme around his players’ talents. Irving remains as the team’s main threat to get a bucket on any single play. This skill is particularly important when the pace of play slows in the playoffs. It’s duly significant when Boston’s offense invariably bogs down in certain situations. When factoring in Irving’s skill-set and residual experience, there’s no question he’s the most important player on Boston’s roster. He’ll be integral in leading the Celtics deep into the playoffs.